Did climate conditions lead to new dinosaur groups in the Jurassic period? Yes, scientists believe the climate turned milder in the Jurassic period and lush, tropical vegetation began to grow. This gave rise to new dinosaur groups, including the long-necked sauropods (plant-eaters). The increase in the amount of vegetation allowed these animals to grow quite large. Their long necks allowed these animals to reach food that was out-of-touch for most other dinosaurs. With abundant food supplies, these plant-eating animals continued to grow from generation to generation. 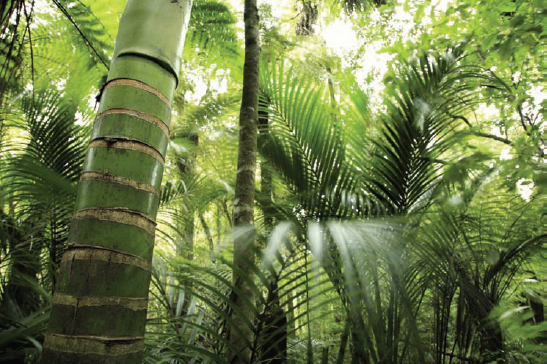 With a new climate permitting, larger plants were able to grow. As a result, dinosaurs like the long-necked sauropods evolved to reach them (iStock).